(AFP) — Italy’s interior minister Matteo Salvini said Sunday he was gathering legal evidence against the crew of a Dutch-flagged migrant ferry as calls grow for 47 migrants to be allowed to land. “We have concrete elements to declare that the captain and crew of the Sea Watch 3 have put the lives of those on board at risk by disobeying precise directions days ago to disembark them in the nearest port, not Italy!” Salvini said. Salvini has refused to open the ports to the mainly sub-Saharan African migrants picked up in the Mediterranean over a week ago, saying the ship had had a chance to make port as it sailed through Libyan, Tunisian, and Maltese waters. 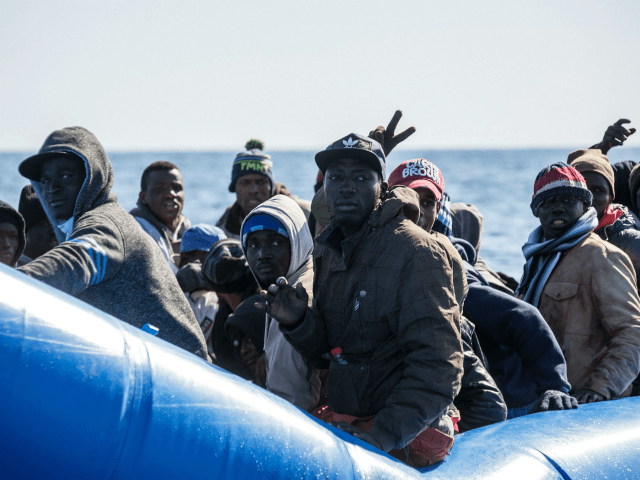 Rights group Mediterranea said the members of parliament would be “checking the psychological and physical state” of the migrants, as well as gathering testimony of the violence they suffered in Libya. Salvini has insisted the Netherlands or Germany take responsibility for the vessel, which is run by the German NGO Sea Watch. Dutch Migration Minister Mark Harbers said Saturday his country “was not obligated” to find a solution, because the Sea Watch 3 had acted “of its own initiative”. Migrants collected by ships have frequently been left in limbo since Italy’s anti-immigration government began turning them away last summer.